Often, people can be involved in a premises liability case without even realizing it. Under a premises liability case, a landowner can be held legally responsible for a variety of torts that happen on the actual property. In a premises liability case, typically a person suffers an injury on a piece of property. The overseer of the property would be the one held liable for any injuries suffered by the person. In these situations, the premises liability attorneys of Bagolie Friedman can be your legal advocate that fights for your rights in either the states of New York, New Jersey, and Florida. 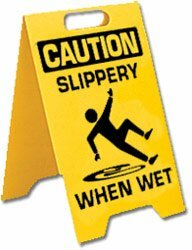 Perhaps you slipped and fell down stairs that were poorly constructed by the property owner. Now you are left frustrated or perhaps even vulnerable, without knowing what to do. Some people go on with their daily lives, enduring a horrible injury. They do not take action, because they have no idea their premises liability case could award them millions of dollars. Instead, these people pay hefty medical fees to cover injuries that were due to someone else’s irresponsibility. Another common occurrence in a premises liability case is when a person suffers because a property owner fails to clear a sidewalk. Perhaps you slipped on ice or other materials while taking a walk in your neighborhood. Property owners are required to keep sidewalks clear by law, so you may have a good case if you have suffered injury due to blocked sidewalks. A premises liability case can often become very complicated. It is a worthwhile investment to have an attorney to consider all angles of your case. Often, a landowner will try to seek loopholes in your case to evade responsibility and having to cover your financial damages. Maybe a landowner tries to prove he or she does not truly own a piece of land, or asserts that your side of the story is exaggerated. During times like these, a personal injury lawyer can step up and aggressively fight for your best interest. An attorney knows how to speak for you and represent you, the client. Your premises liability case could ultimately award you with peace of mind and financial compensation to cover your damages. The personal injury law firm Bagolie Friedman can settle your case with the best possible outcome. If you are involved in a premises liability case within New Jersey, New York, or Florida you should consult the law firm of Bagolie Friedman for all your legal needs. Investing in professional, legal services can be the best decision you ever make in your lifetime.